You’re in that dreaded dilemma. You desperately need a paycheck, but you’d also rather spend the day at the dentist getting a root canal than at the office doing your job. Or maybe you don’t mind your job…in theory…but your mama taught you right and you just can’t stand earning a living without making the world a better place. Everyone wants to see the impact of their work. You want to feel passionate about AND proud of what you’re doing. You want to do something meaningful to both yourself and others. Skillcrush alum Charlotte Baker felt that same pain that you do. She had a BA in psychology and a job she couldn’t stand. She felt stuck and unfulfilled, unhappy with the whole dang thing. She wanted a way out—or, actually, a way up. A job that would challenge her and get her excited each and every day. Wishing that was you? Don’t worry. You’re not alone. I also went on the rough but rewarding journey from “meh” to meaningful. And I also have tech skills to thank for FINALLY becoming one of those annoying “I love my job” types too. 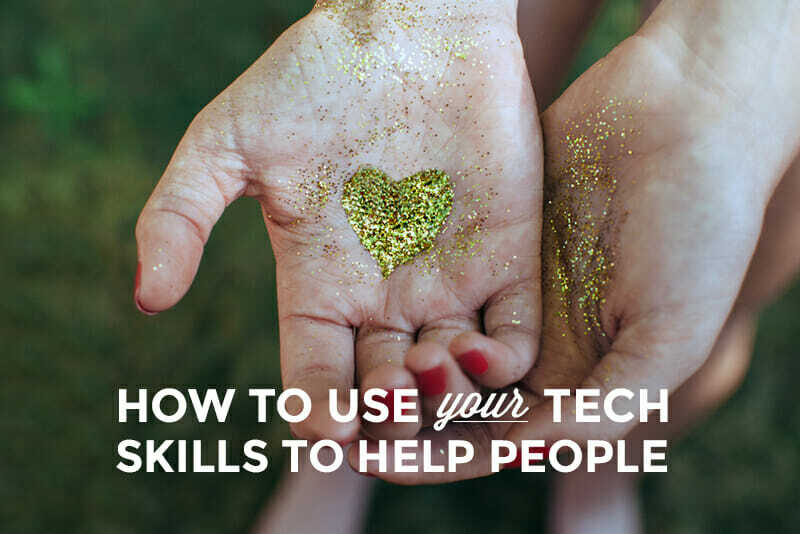 And even if you’re not going for guru status, tech skills open up a whole range of jobs that are critical for nonprofits and profit-seeking businesses alike. Just knowing the fundamentals can make a real difference to your job prospects and your career opportunities. OK. So, you can get a gig that means something to you and to the world by learning the likes of web design and development. But WHERE do you get a job like Charlotte’s, or mine for that matter, that makes you leap out of bed before your alarm and sleep well at night knowing you’ve done your part? Duh, right? I’m sure you’ve already thought that working for a nonprofit could be the way to turn your enthusiasm for a cause into a career. But you might not know that getting a job at a nonprofit can be easier than you think. Because they might not have oodles of dough, nonprofits are often ready to hire people with less experience or fewer skills in exchange for a bit lower salary. 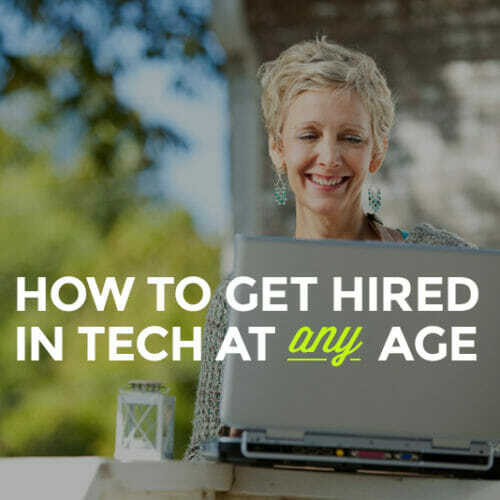 That means that if you’re looking for your first job in tech or transitioning to a new area, a nonprofit might take you on—if you can prove you can do the job (despite not having years of experience) or are eager and able to learn the skills you need. You’re not limited to charities and similar organizations if you want to do good in the world and feel good about what you’re doing. How about working for a company (yes, an actual money-making enterprise) whose products or mission you feel deeply about? Kinda takes the “jobby” out of the “jobby job”, doesn’t it? It definitely does for me, and I feel confident in saying that all of us here at Skillcrush are more than excited that we get to pursue a passion for tech in all kinds of ways while helping people get the skills they need for jobs they love. So, if you’re canine crazy, look for companies offering the highest quality pet products or a puppy-pampering daycare. Or, if you want to share your joy for gaming with the world, check out the makers of the titles that bring a smile to your face every time you play them. There are no “rules” about what will make a job meaningful for you. Spend some time thinking about what matters to you and turn your deepest beliefs and joys into a career however you can, and you’ll soon have a clearer picture of the jobs you should go after. But, whether you find a job you care about at a nonprofit organization or for-profit business, the question is: How do you GET one of these dream positions? You can go the traditional route of scouring job boards (The job listings at Idealist are great for tech jobs at nonprofits. ), sending out applications, and hoping for the best. But, if you really want to follow your heart in your career, you might need to take a different approach. Here are 4 ways to go after a tech role at a company you care about that will get you NOTICED and get you the job. “Backing in”, or convincing a company they need you even when there’s not a specific job opening for you, is a terrific strategy for any job search. But it’s especially effective for positions at nonprofits. Why’s that? Charitable organizations—and many social-good startups—work with small staffs. They might not have realized: (a) they need someone with your skills; or (b) that they can afford to hire you. Your task when backing in is to make a hiring manager see that they both need you and that they can’t afford NOT to hire you. The key to this is doing your research about the organization’s mission and projects and then showing exactly how you can uniquely promote their goals and help them to success. So, refresh your resume so that it’s up-to-date with specific details (Think stats, figures, action verbs, and even quotes from supervisors and clients) of results you achieved in past jobs that will be meaningful to this organization. 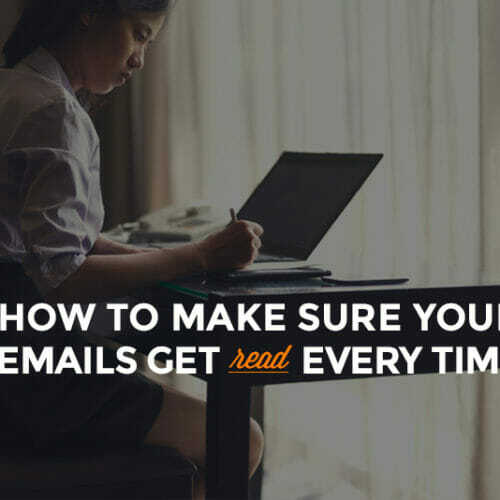 And then grab the download from this article and whip up a stunning cover email highlighting your relevant accomplishments. Maybe you’re already doing the job of your dreams but who you’re doing it for doesn’t exactly inspire you. You can stop selling your soul but do the same job for a different company. Lateral moves are usually pretty easy to make since you’ve already got the skills and experience for the job. But you’ll still need to show how you’re a fit for that particular team and emphasize the traits that make you a dream employee. Another way to get the attention of a company you’re obsessed with is to start out for free. Gasp! Working without getting paid? Well, in a way. I don’t mean that you have to go full-time with no salary. (In fact, unless you’ve been lucky in the lottery, you probably can’t and shouldn’t.) Keep your day job, but make time in your schedule to do something for either the cause in general or the specific organization you’re interested in. It could be as little as a couple hours a week or as much as every Saturday or two weeks of your vacation. Whatever amount of time you spend, always put your best foot forward, and you’ll soon find your foot in the door for a paid position there. 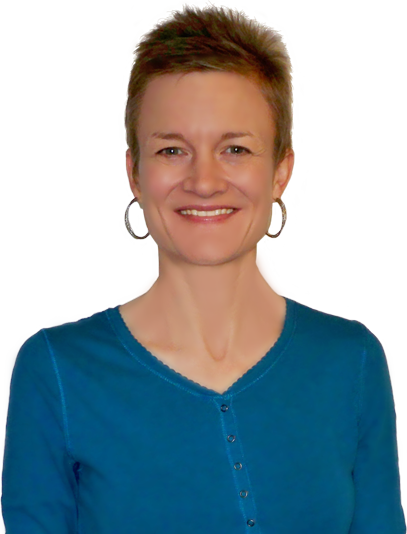 Former Skillcrush student Lyndi Weener-Kuiper pulled that off and is now both a web developer and a volunteer WordPress tutor for nonprofits. And you don’t just have to volunteer your time. Think about services you can provide for the company that will prove to them how valuable you would be as an employee. Do you they need to work on their email marketing? Send them a sample email you could write for them and let them use it! 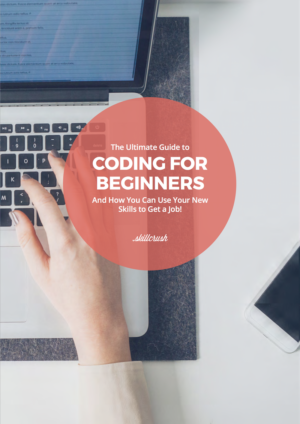 Why not go ahead and do a project that shows off your skills and benefits the cause, like wielding your HTML and CSS knowledge to create a gorgeous newsletter campaign or busting out your blogging superpowers to get them the social media attention they deserve? No matter which direction you come at it, you’ll need to show your future employer that you truly believe in what they do and what you’ll be doing for them. After all, if your whole idea behind this career shift is to get a job you really care about, you have to show that from day one of your job search. 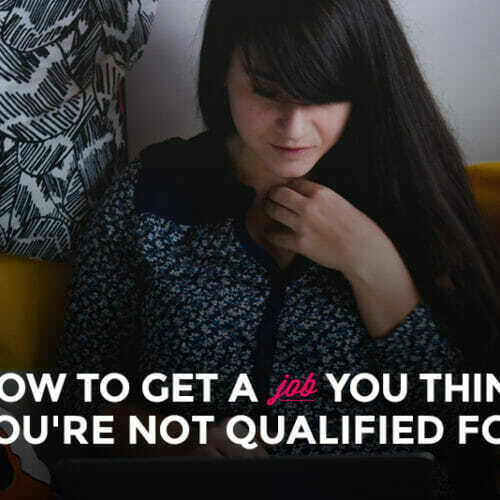 The great thing about this is that, since you’re going for jobs that you’re genuinely interested in, you can—and you should!—let your true self show. For example, when I applied to Skillcrush, I happily confessed that I don’t go a day without tech podcasts and that my socks are organized by color, length, and use. I mean, who doesn’t love an employee who’s hooked on your business and hyper-organized?! 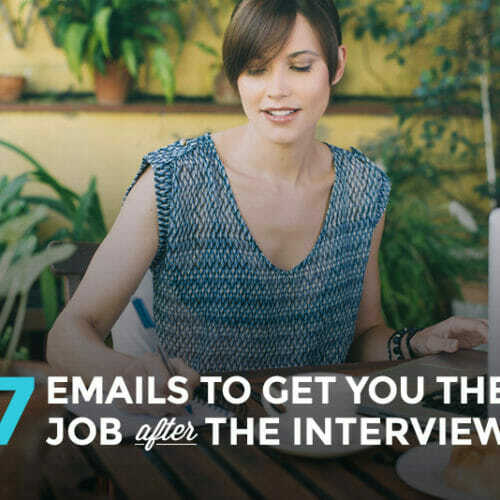 So, unfurl all your funkiness and show how it makes you THE ideal candidate for that job that truly inspires you!